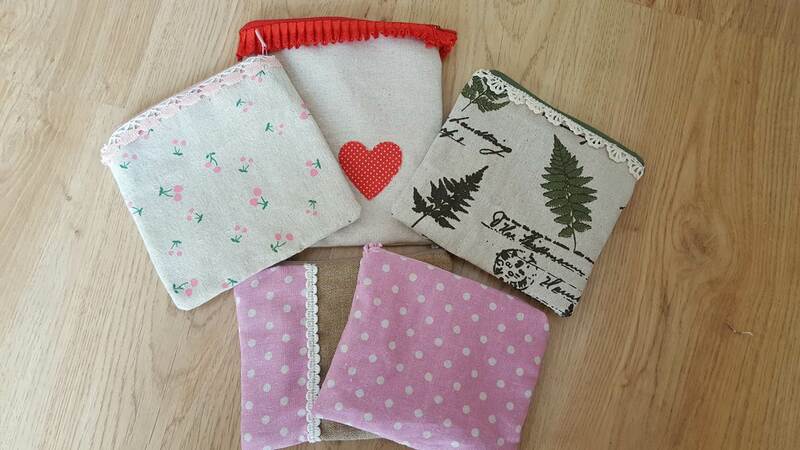 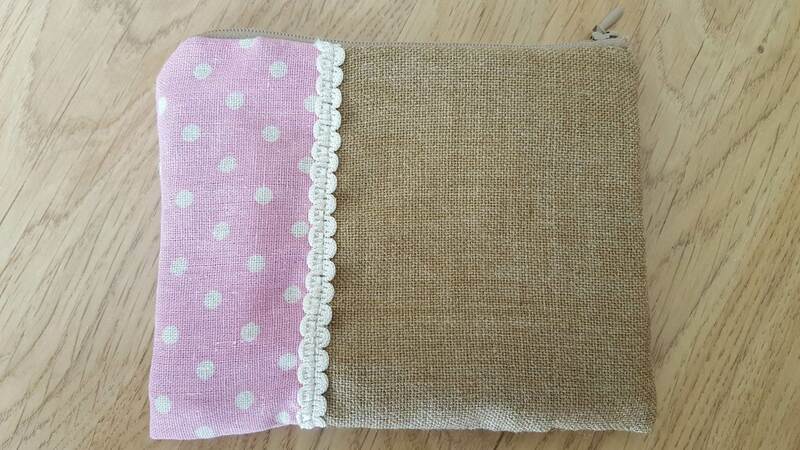 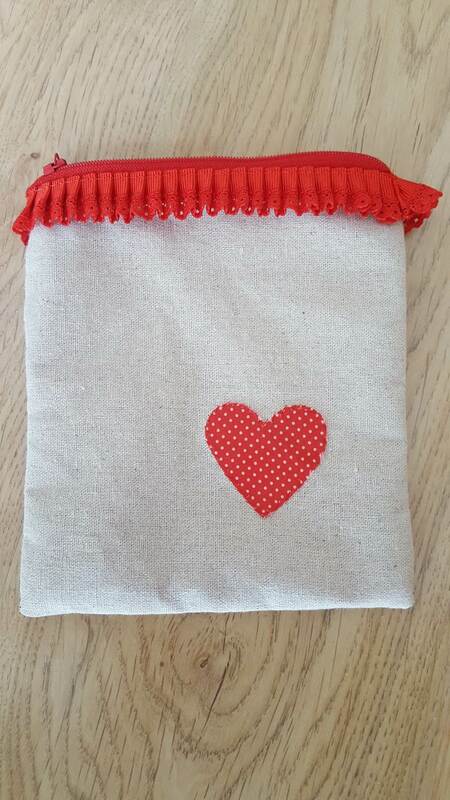 Today I'm back here to show you a set of zippered pouches I've been busy with in the past few weeks. 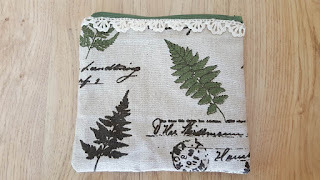 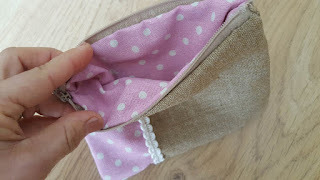 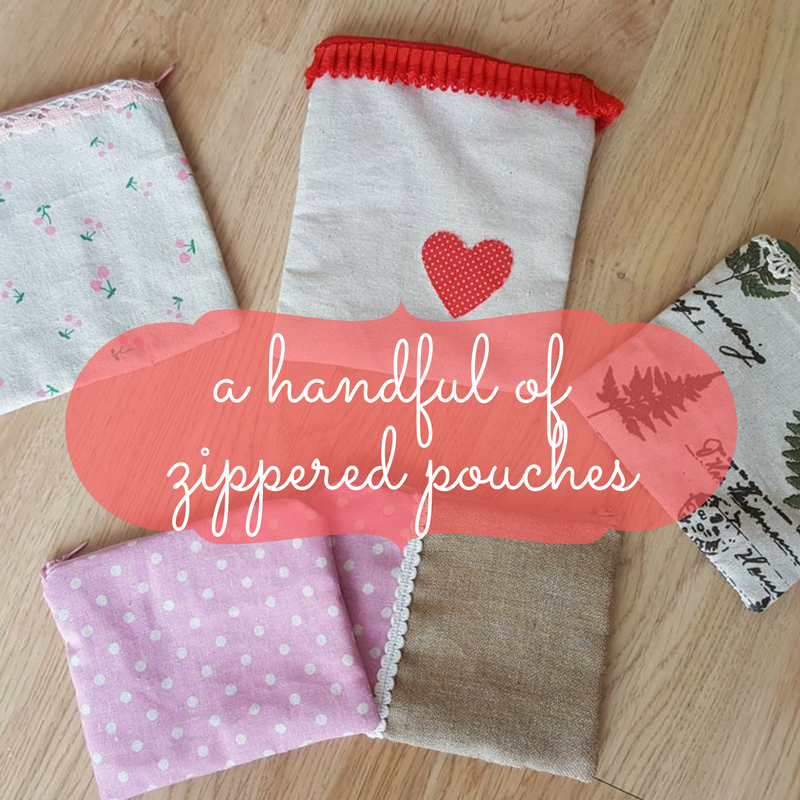 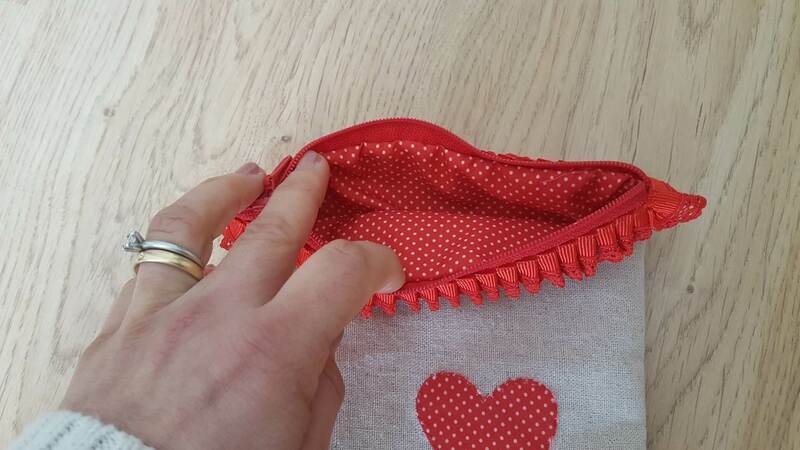 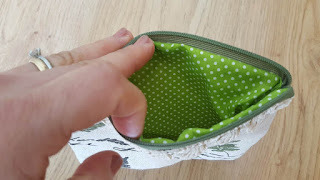 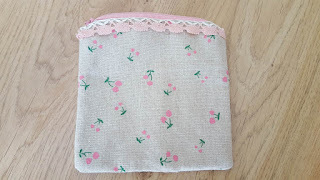 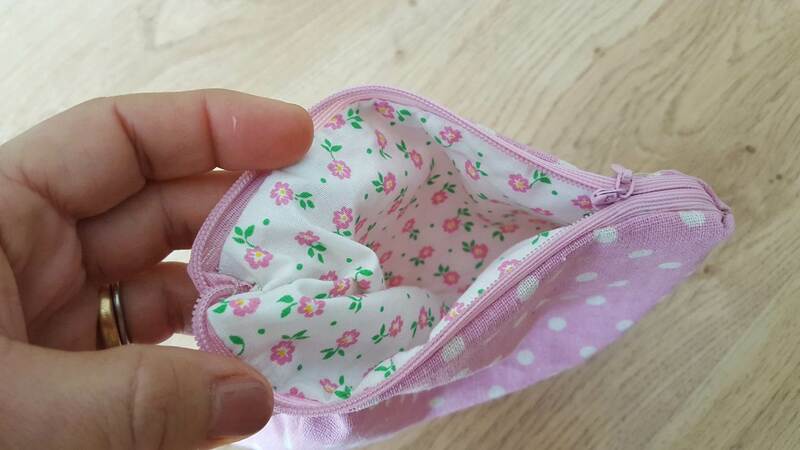 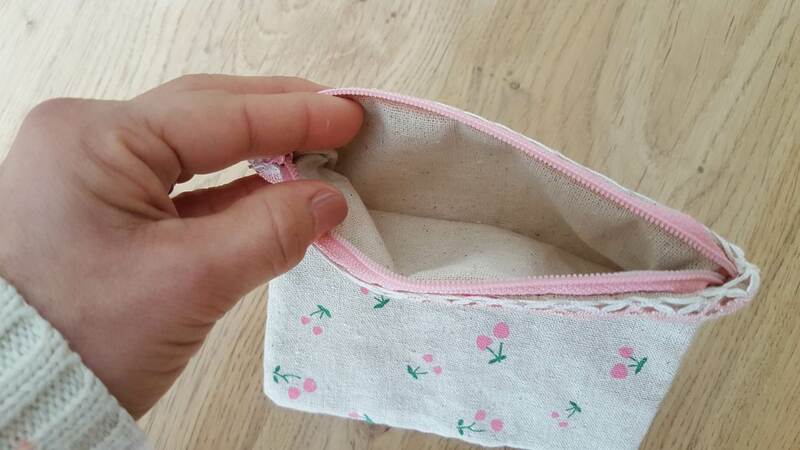 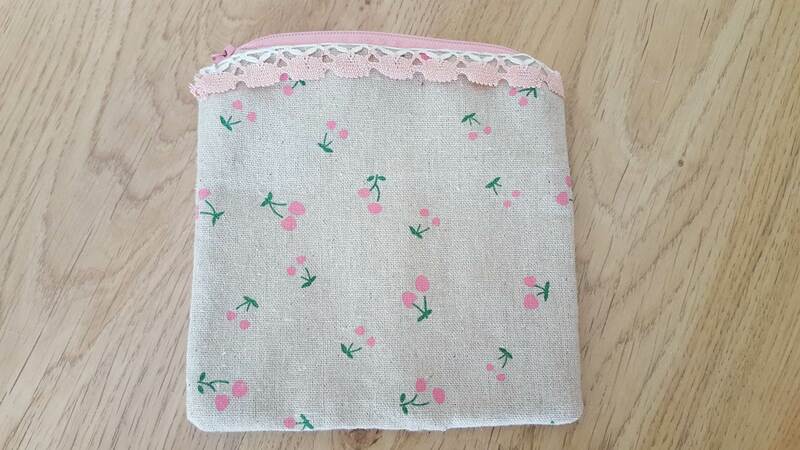 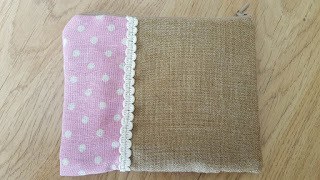 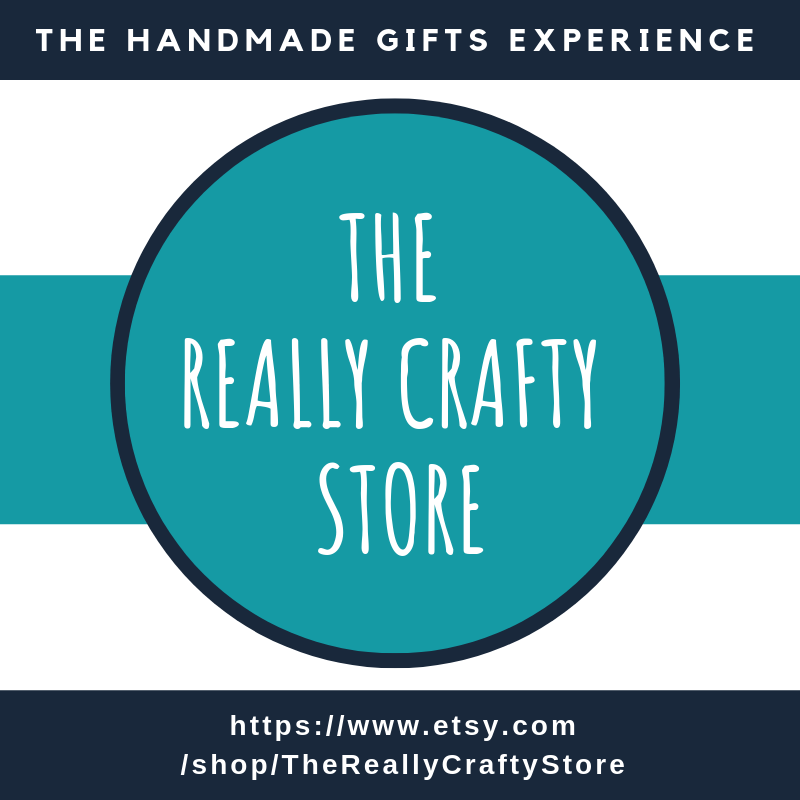 Each pouch is different because they are made with fabric scraps, but all of them were made using my zippered pouch tutorial - which means that despite the zippers I managed to assemble them pretty quickly. 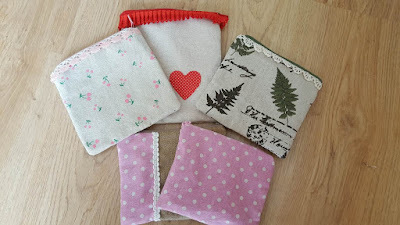 I still don't know exactly what I will do with them, but probably they will serve as homemade gifts at one point or another. 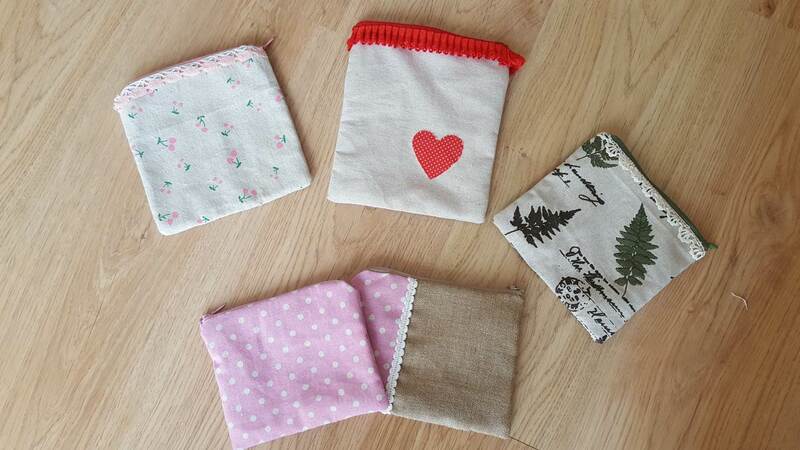 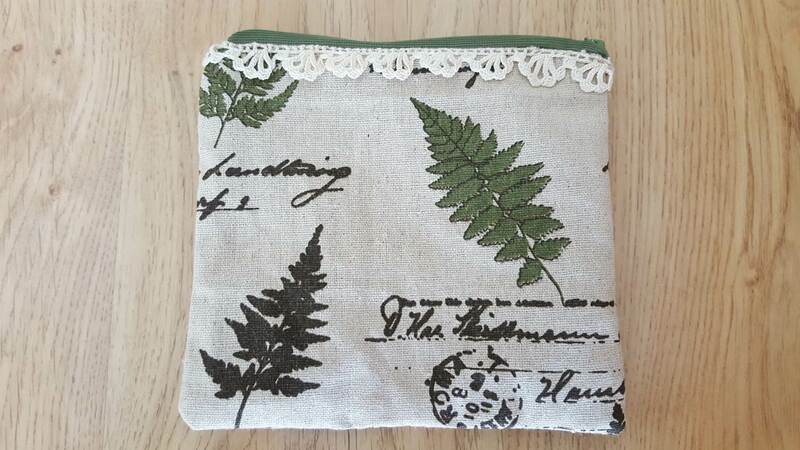 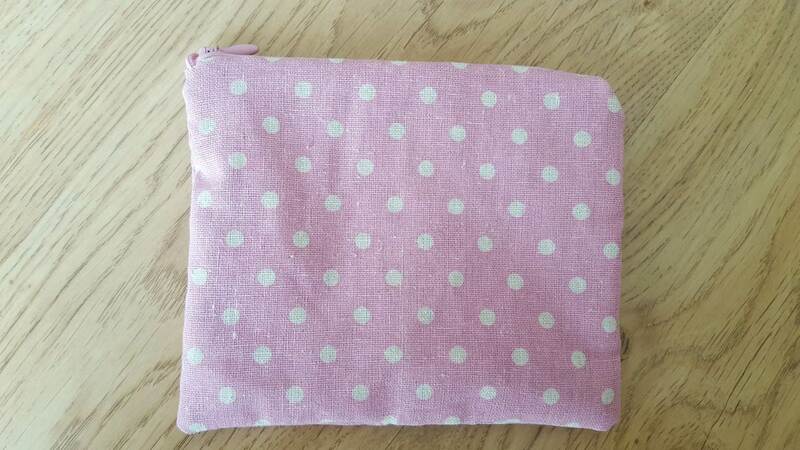 Each pouch is lined with a matching fabric (again, all scraps and leftovers from other sewing projects). 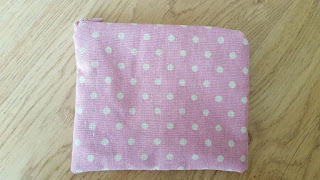 And this one was made with two different fabrics and a ribbon overlapping the seam. It was the one that turned most wonky, probably because the two fabrics are too different in texture and thickness, so I guess I still need to perfect the technique a bit more. But overall I'm happy with my handful of pouches. And because these pouches, except for the zippers, were made using only materials I already had at home, they count as a great destashing project too.